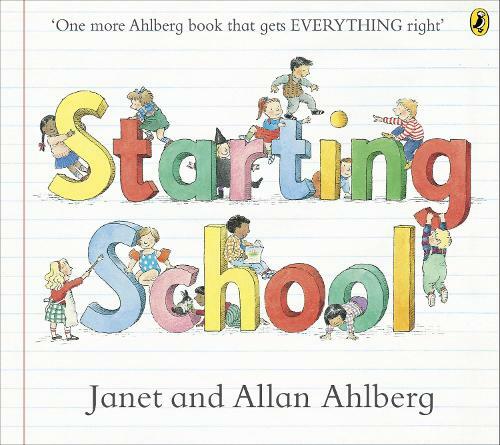 Janet and Allan Ahlberg's classic, Starting School. From first day nerves to finding your peg, this reassuring read is full of humour and fun for children and parents alike. A classic picture book which offers advice and enjoyment for the whole family before school starts. Allan Ahlberg, a former teacher, postman, plumber's mate and grave digger, is in the super-league of children's writers. He has published over 100 children's books and, with his late wife Janet, created such award winning picture books as EACH PEACH PEAR PLUM and THE JOLLY POSTMAN - both winners of the Kate Greenaway Medal. He has also written prize-winning poetry and fiction and lives in Bath.